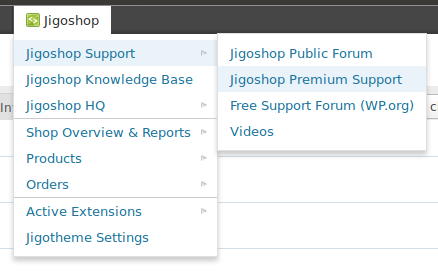 Jigoshop Admin Bar Addition: adds useful admin links and resources for the Jigoshop plugin to the WordPress Admin Bar. 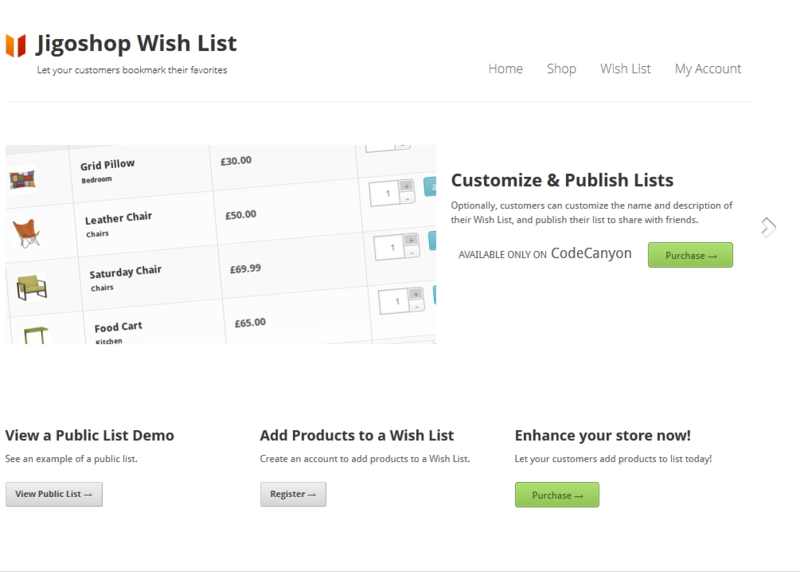 Jigoshop Wish List: a cool script that adds an Amazon-style wish list functionality to your Jigoshop eCommerce store. Jigoshop Products – Facebook Tabs: this plugin integrates your WordPress cart (powered by Jigoshop) with your Facebook page. 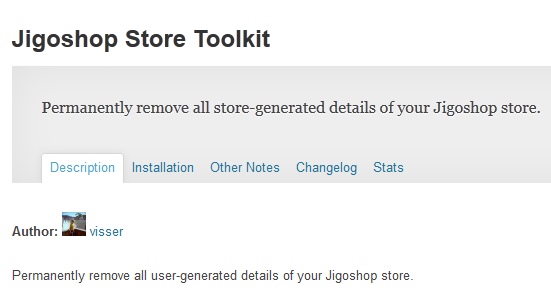 Jigoshop Store Toolkit: this plugin removes all user-generated details from your Jigoshop store. Jigoshop Google Checkout: a gateway plugin that lets users checkout with their Google Checkout account. 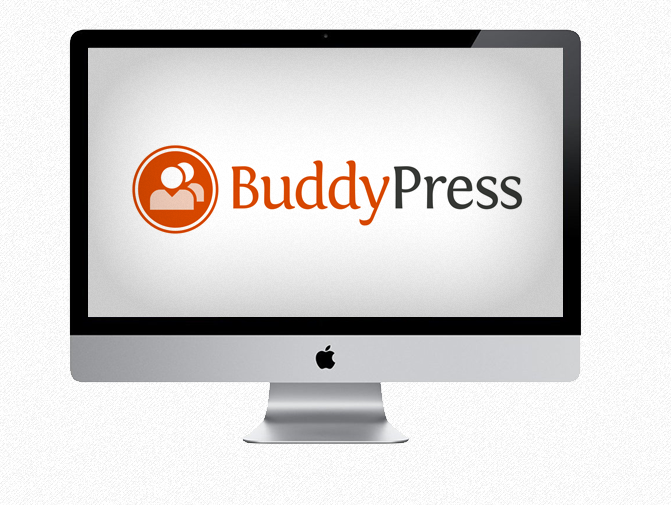 Jigoshop for BuddyPress: allows you to integrate JigoShop into BuddyPress, so you can essentially build a social network within your e-commerce site. 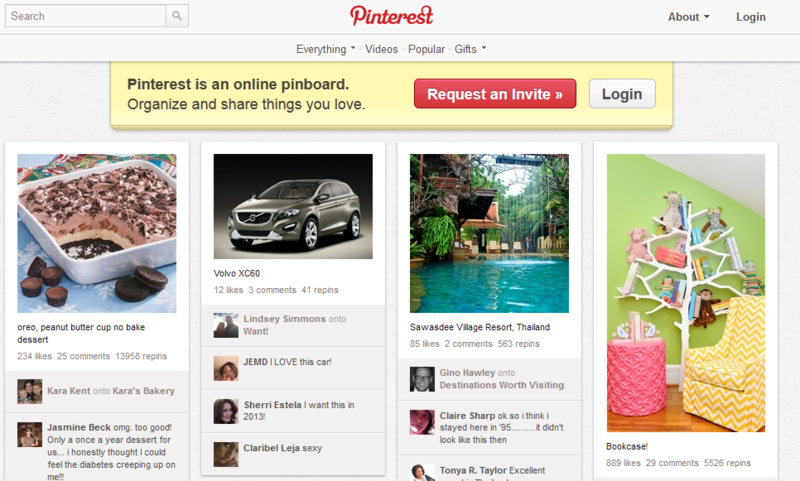 Pinterest for JigoShop: integrates Pinterest into your JigoShop e-commerce store. This is a free plugin. 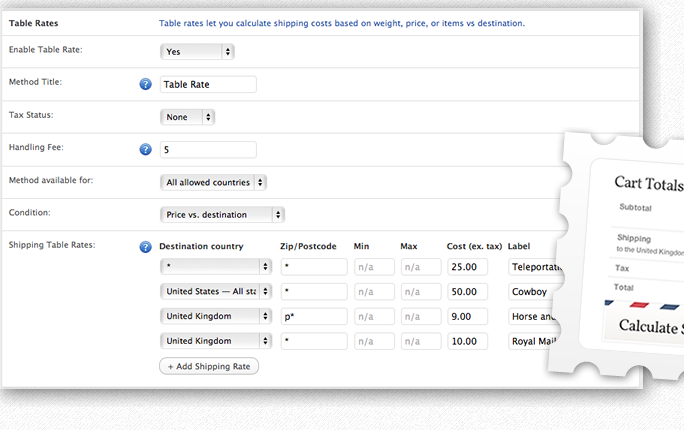 Table Rate Shipping: planning to offer different shipping rates for regions based on price, weight, and other factors? This plugin has you covered. 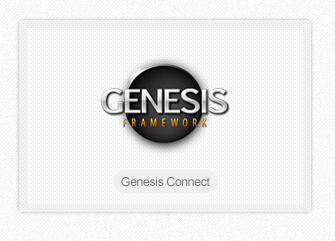 Genesis Connect: are you a fan of StudioPress themes? 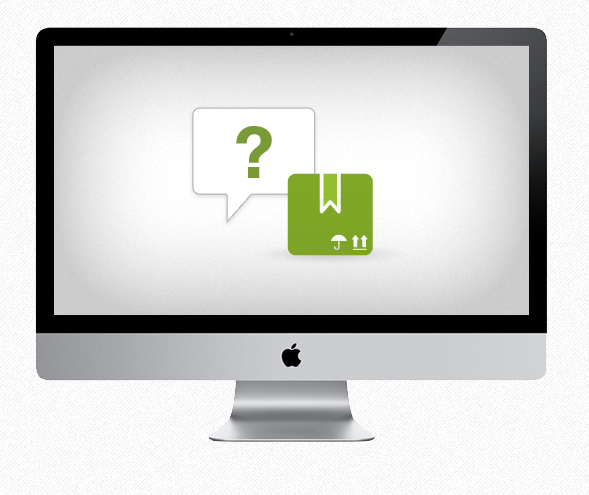 Thanks to this plugin, you can use Jigoshop in conjunction with those. Google Product Feed: allows you to quickly list all of your retail products with Google. 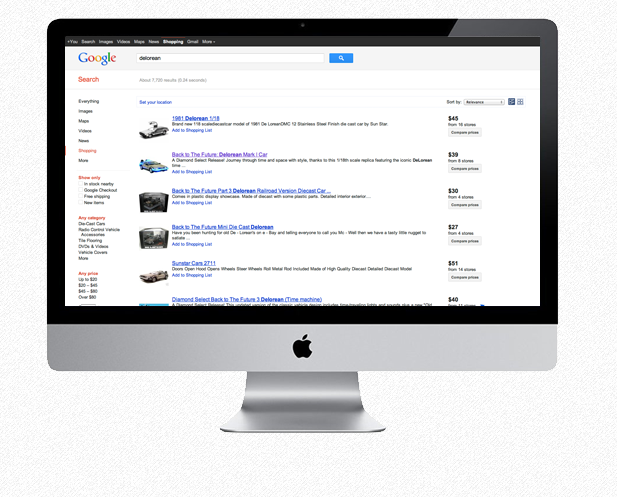 Brings more traffic to your site using Google Product Search. 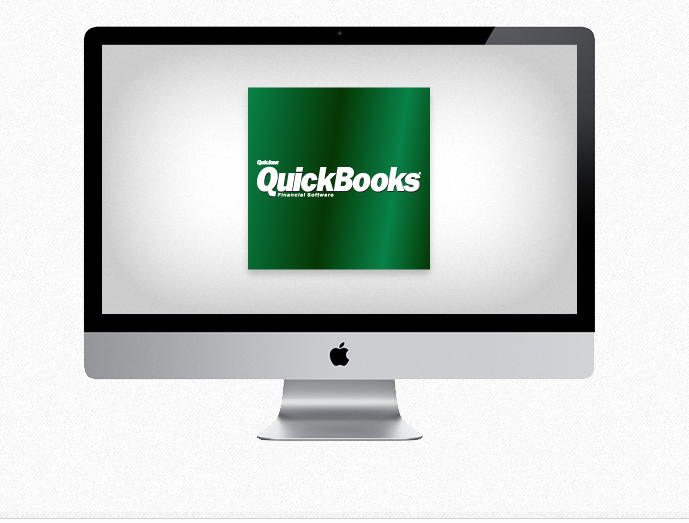 Jigoshop QuickBooks Integration: this plugin automatically syncs your orders, inventory on-hand and pricing between your QuickBooks software and your JigoShop shop. 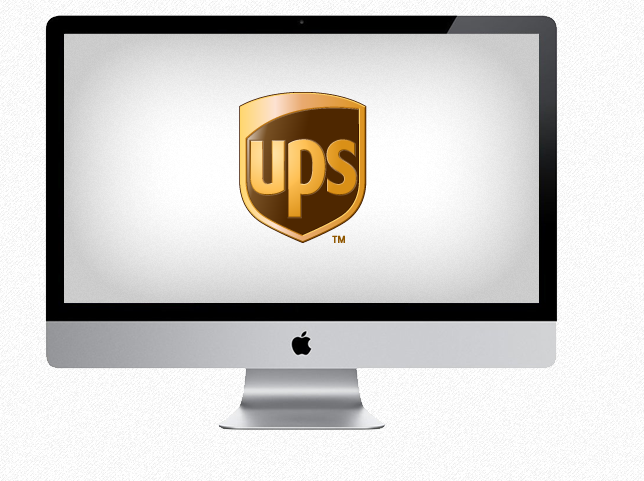 UPS for Jigoshop: accesses and pulls real-time UPS shipping rates into your Jigoshop shop. MailChimp extension: allows you to integrate Jigoshop with your MailChimp lists. Your shoppers go through a soft sign up when they purchase an item. 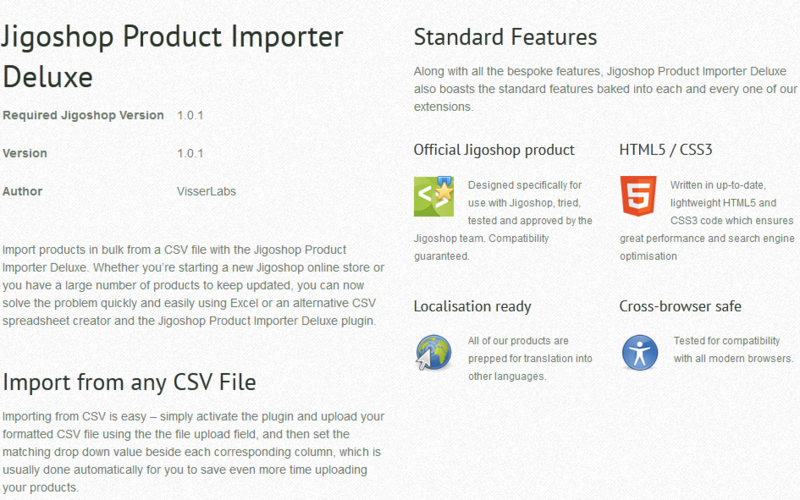 Jigoshop Product Importer Deluxe: a handy extension that imports products in bulk from a CSV file. 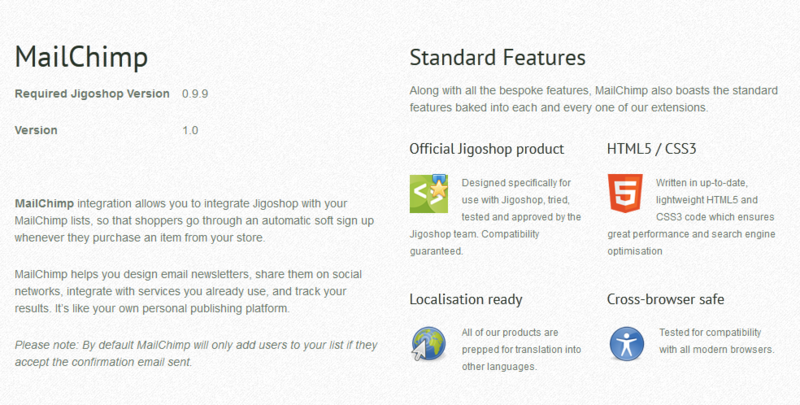 It is very useful if you are moving your e-commerce store to a Jigoshop-powered site. 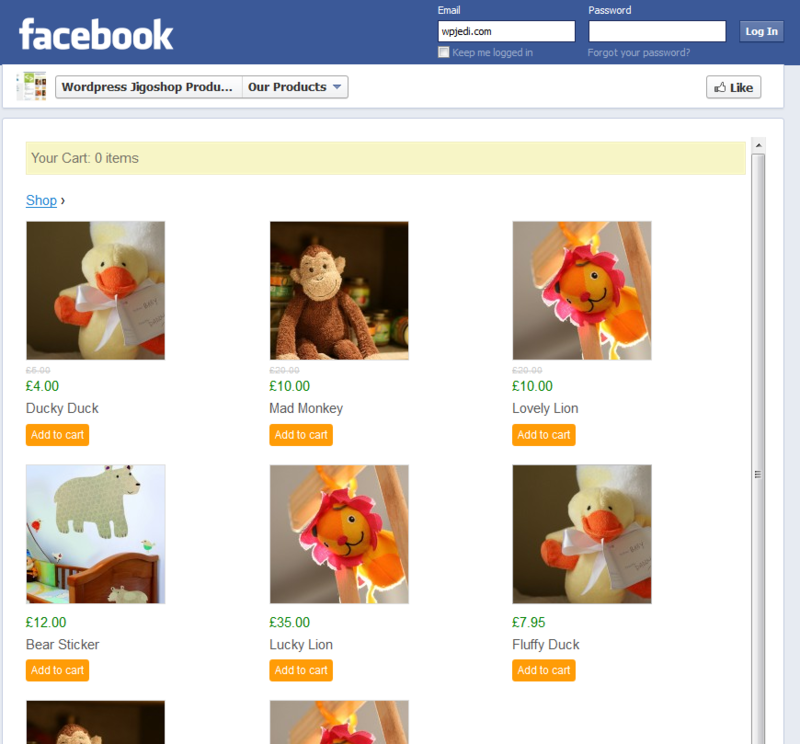 Fancy Product Preview: makes your e-commerce shop look more dynamic. 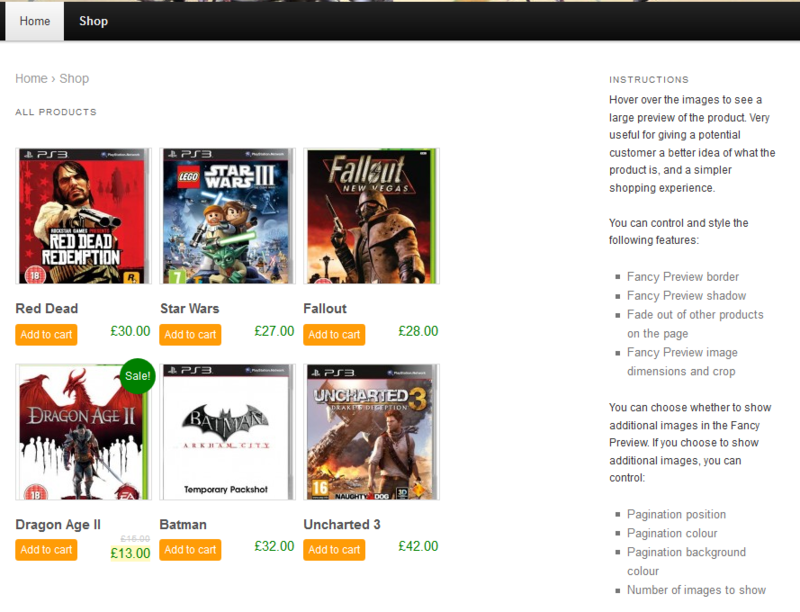 It coverts product thumbnails to a fancy preview gallery. 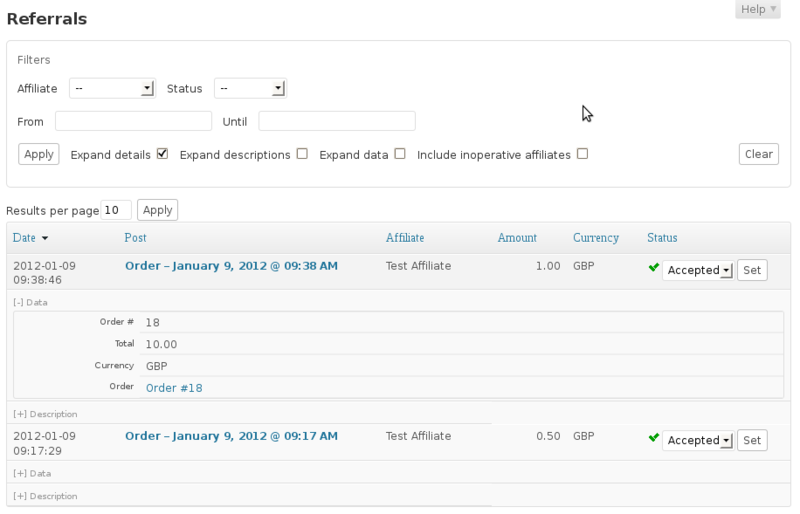 Affiliates Jigoshop Integration: this plugin integrates the Affiliates plugin with Jigoshop. Lets you maintain your own affiliate program. 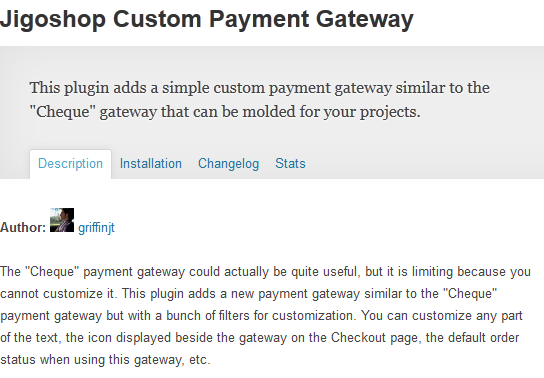 Jigoshop Custom Payment Gateway: adds a custom gateway to your site. This is highly customizable too. 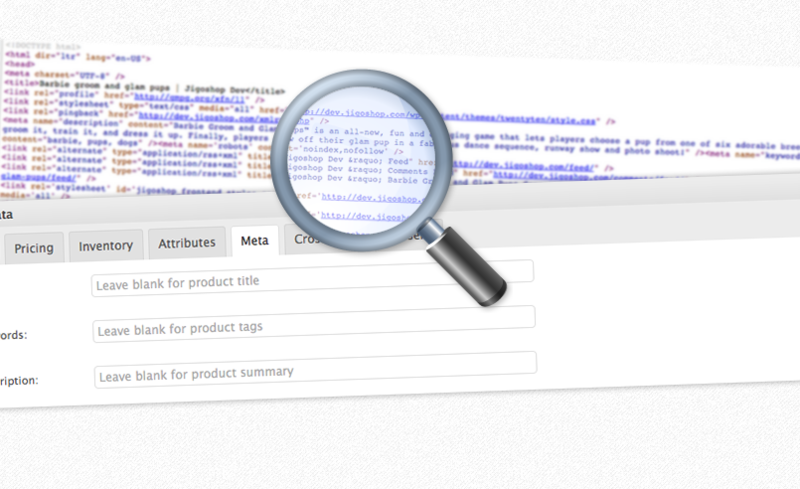 Simple SEO Meta Tags: includes new fields in the product data panel to let you make your website more SEO friendly. 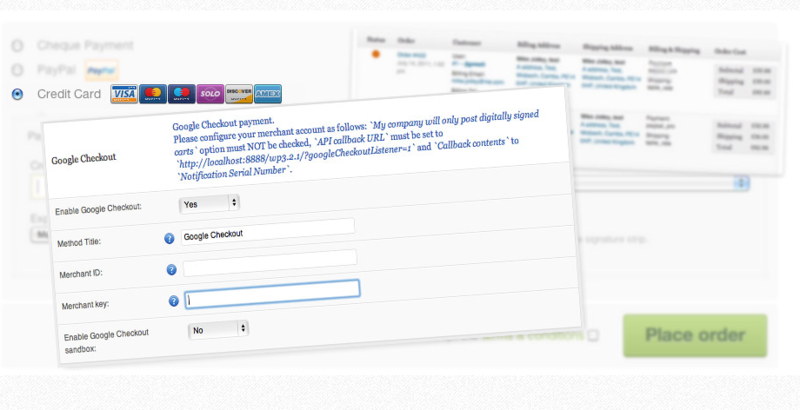 WP Cart Mailcheck: this adds Mailcheck support to Jigoshop and WooCommerce sites. Jigoshop Product Enquiry Form: a superb plugin that allows you to add contact forms to specific pages and products, giving you the chance to provide better service to your customers. The Jigoshop plugin is quite powerful. Thanks to the above extensions, you can build even more functionality into your Jigoshop powered e-commerce shop.